I was on the beach for the sunrise at about 4:45am, and stayed while the light was soft. 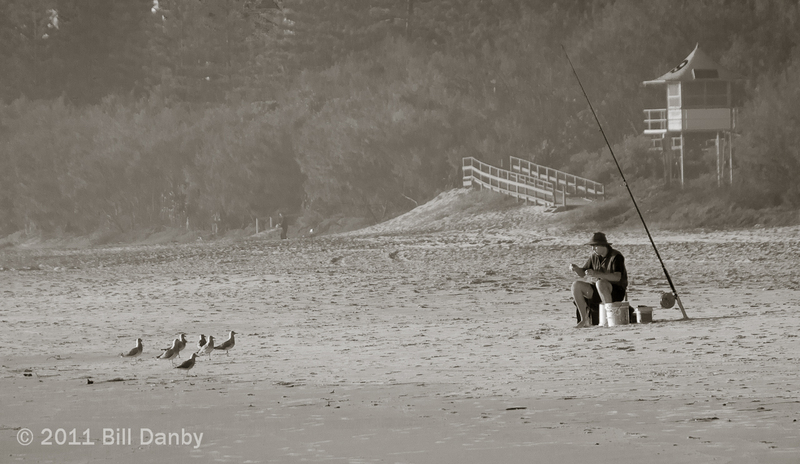 I have a few pictures of this fisherman who beat me onto the beach — and was still there when I left. I'm not a fisherman myself, but I don't mind watching fishing and I don't mind eating fish.